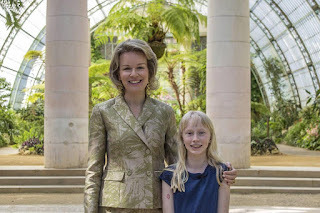 For the annual public opening of the royal greenhouses, queen Mathilde guided Ketnet's 'Karrewiet' child reporter Billie around. "My children love to work here, so sometimes they give the gardeners a hand"
The queen explains the origins of the greenhouses and talks about the plants. Apart from maintenance, the gardeners work all year to get the greenhouses to look their best during the 3 weeks of public display. 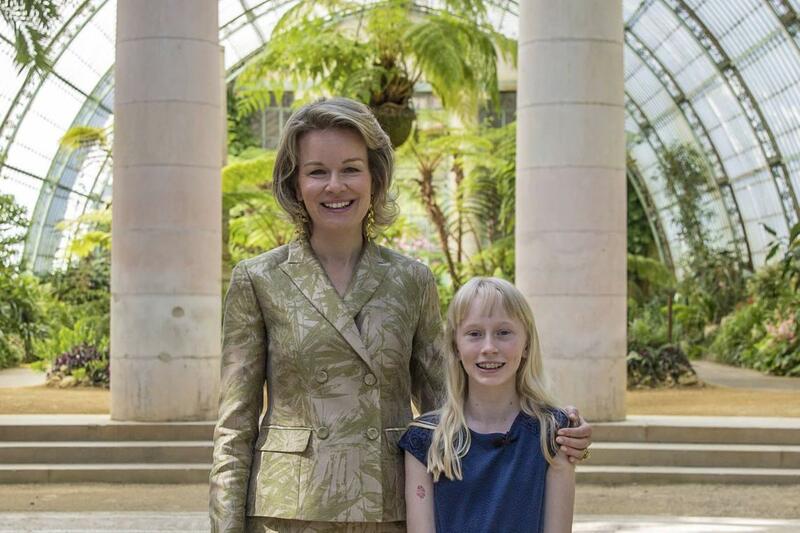 Among the trees is a young pear tree, donated by Michael Bloomberg, former mayor of New York (his visit: https://queenmathilde.blogspot.be/2016/06/michael-bloomberg.html). It's a shoot from the only tree that survived the 9/11 attacks. As is custom at court, Belgium's 2 main languages get equal treatment... So francophone children's program 'Les Niouzz' also got a report from 12-year old reporter Bérénice. The royal greenhouses are opened from the 21st of April untill the 11th of May 2018.